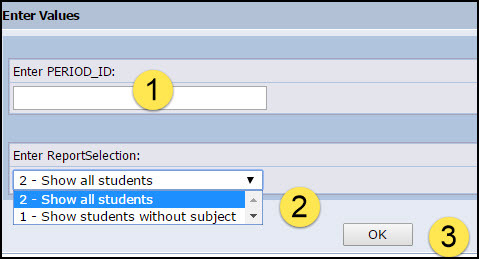 Select the [Home Class Reports] report launch. 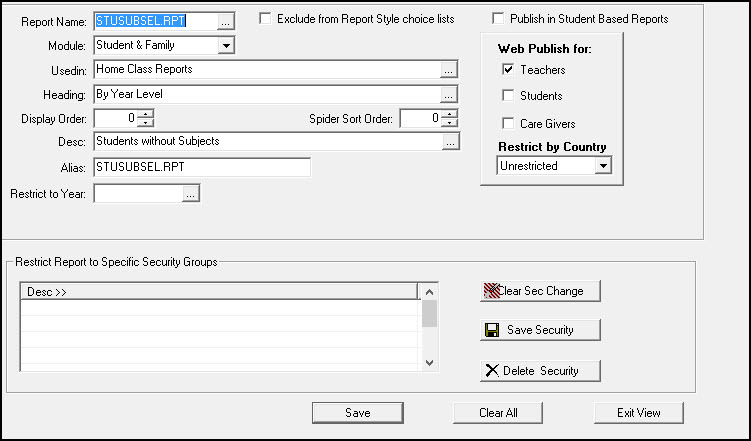 You should see a report called “Students without Subjects” (Alias Name: STUSUBSEL.RPT) – if you cannot see this report, or it has not been made available in Spider, please call the PCSchool help desk. It needs to be set up in Back Office as shown below.